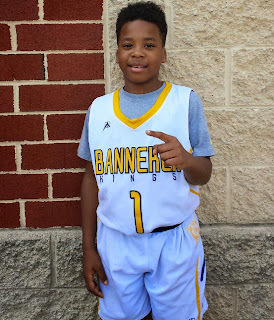 BASKETBALL SPOTLIGHT NEWS: Basketball Spotlight Feature: Point Guard Battle To Be Settled At Future Phenom Camp! Basketball Spotlight Feature: Point Guard Battle To Be Settled At Future Phenom Camp! Point guards. They are the quarterbacks on the basketball court, handling the ball, dishing it off, and they are frequently relied on to make the smart decisions. Not to discount other positions–each one has its own importance–but the point guard is arguably the most significant player on the floor. At the upcoming Basketball Spotlight Future Phenom Camp all the nation’s top players at this position will be in the building; the National Battle for the at this position likely will directly affect the national board hierarchy. 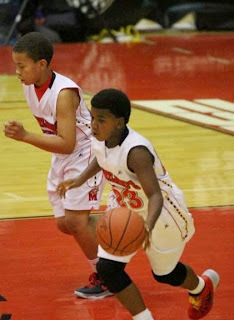 Knasir “Dug” McDaniel (DC) – No one in the country is quicker with the ball baseline to baseline. A true pass first PG who can score with the best out there when required. Uncontainable in space, doesn’t get trapped and never gives up the dribble. Tough as nails with big time national experience there is nothing he hasn’t seen, fearless competitor that can hurt you in many ways. Range extends beyond the 3-point line and has a devastating mid-range package especially in the paint. Sonny Johnson (OH) – Textbook stroke with range, next level handle, killer instincts, tremendous size for the position and a next level IQ. Can score at all 3 levels using a diverse skill set, guards the position – great physical tool, length is a strong attribute. Johnson is hungry to prove he deserves to be in the conversation not only as the best PG; he wants the #1 spot. 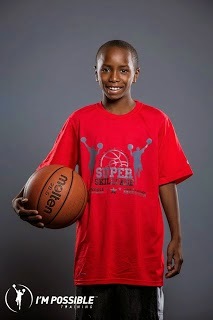 Josiah Johnson (CA) – West Coast super star with an east coast game; one would never guess he is from California. 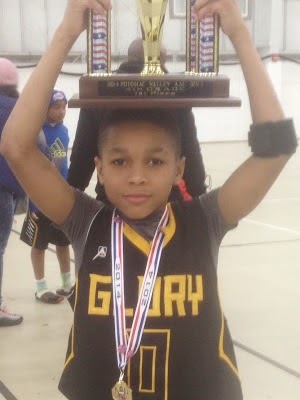 Constantly in attack mode he is the consummate leader – he put pressure on his teammates to compete at a high level, coach on the floor and devastates his opponents with his scoring prowess. Creates space with great finishing ability coupled with big time range on his jump shot, which is a actually a jump shot at this stage. Another mechanically strong shooter who has a great core and gets to the spots he wants to on the floor. 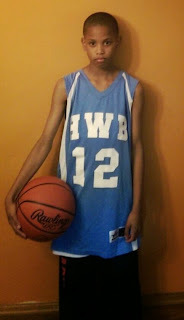 Super tough mentally, physically, and with his skill set plays hard every possession. Jaden Johnson (MD) – This conversation cannot be had without mentioning the starting PG and leading scorer of the two time and defending national champion Maryland’s Finest. Going for a unprecedented 3rd straight title, currently no one on the country actively playing can make that claim if accomplished. With Johnson at the helm and the #1 seed, they are the favorite to do so; Johnson is a multi-category contributor who willing steps up and takes the other team’s best player regardless of position as typically shuts them down. Offensively he does what he pleases, gets where he wants to, and finishes on each level along the way. Uses his size like a seasoned veteran and knocks down jumpers from all over the floor and with range. One of the most complete players in the country without question. Sammy Scott (MD) – Maybe the best scorer out of the bunch, everything is quick – small and compact you simply do not steal the ball from him. Tough as nails he can get to any spot on the floor he wants and can finish without issue even against size. Very smart at reading angles and creating scoring space for himself and for setting up his teammates – can carry the offensive load on any night while still making sure his teammates are involved, think Chris Paul/Isaiah Thomas; a rare and special talent has to be included in this discussion, no one better forget about Scott or he will be sitting in the #1 spot.